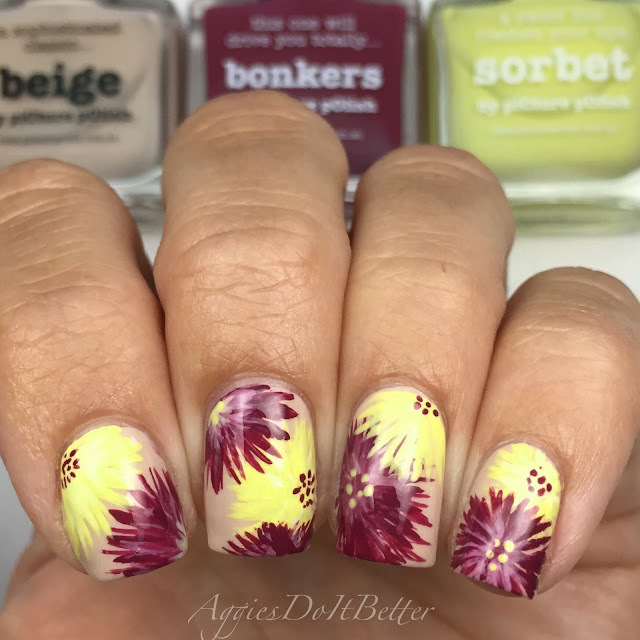 Aggies Do It Better: Picture Polish Nail Art Quarterly-my mani! Hey guys! 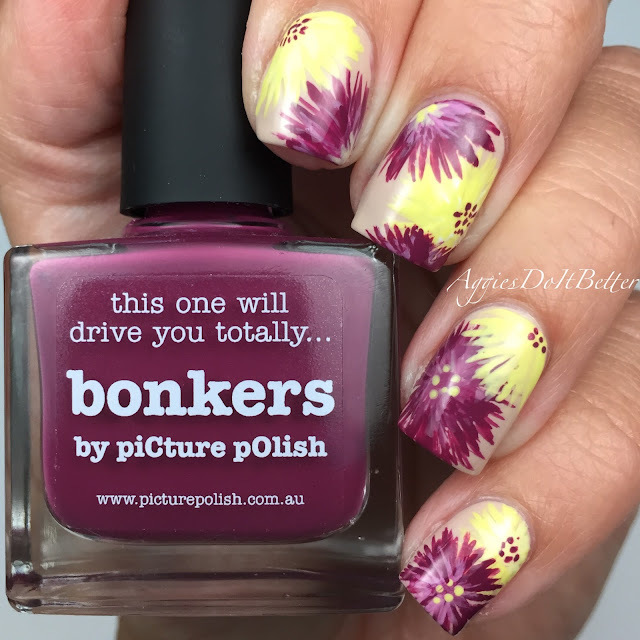 Here is my mani (posted on Instagram yesterday) for Picture Polish's first (new) competition called nail art quarterly! They are switching things up a little and are no longer doing their blog fest like in years past. They are doing something similar, separate from this, but if you have participated in the past you can't again! So I'm glad I was chosen to participate this time!! The challenge was to create a FREE HAND and FLORAL design using no vinyls, tape, stamping etc. Those are the 2 hardest things for me!!! I have the shakiest hands everrrrrrr. The colors I chose were Beige for the background, and Bonkers and Sorbet for the mums!